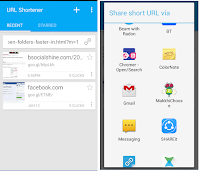 “URL shortener” is a one of the best app for android for making website url shorter and share, tweet, or email to friends. 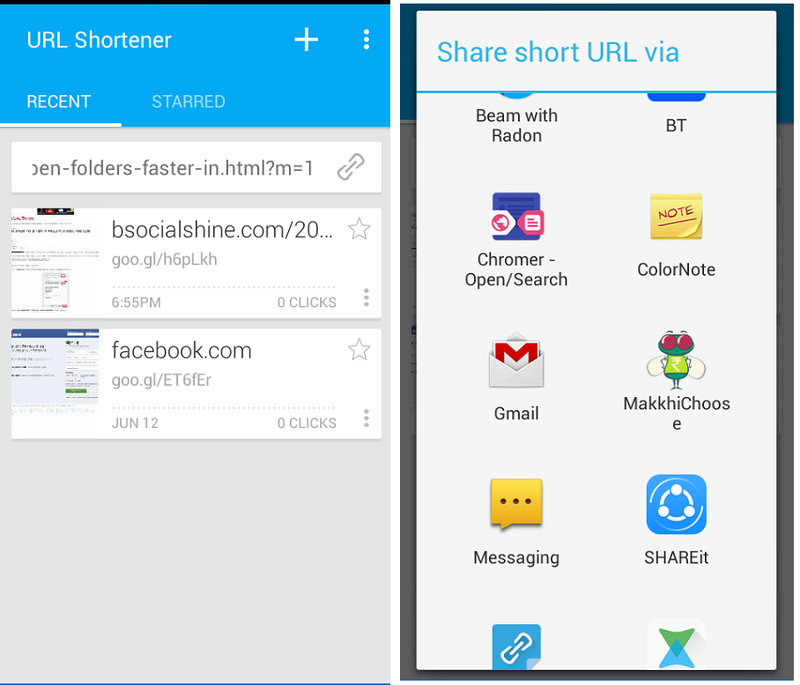 Using a shortened URL give more room to say what's on your mind. Also Access analytics of any short URL, including the raw click counts and their distribution across referrers, browsers, platforms, and geographical locations.